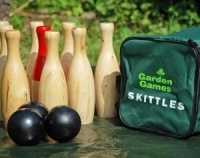 An attractive mini bar skittles set with string pully handle for easy setup. Constructed from MDF with wood effect finish and features brass corner plates and chain. 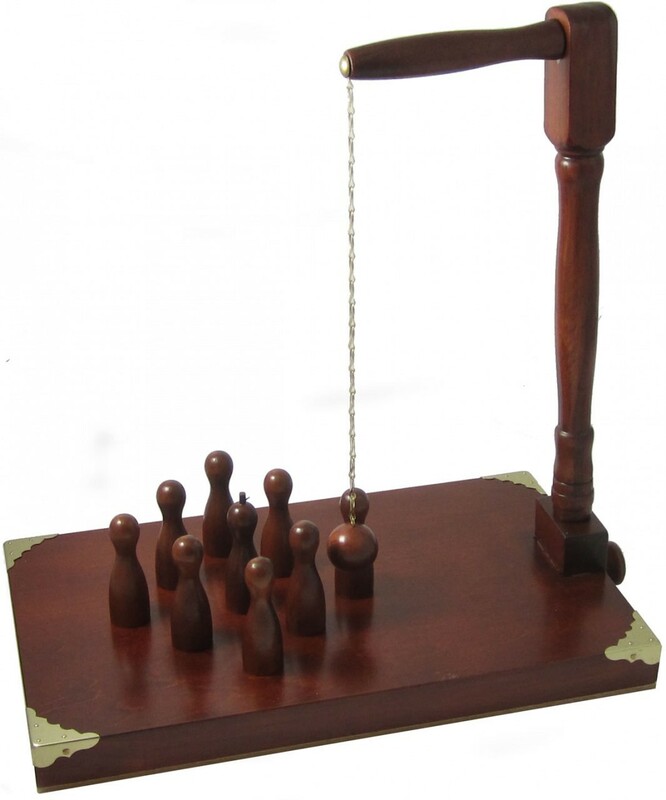 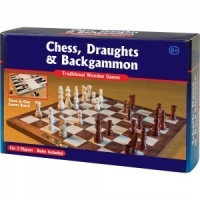 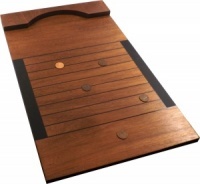 This miniature version of the popular old English bar game is great for the home or the bar.